Sealants can protect your child’s teeth from the bacteria that cause tooth decay. In fact, children with dental sealants on their teeth are less likely to develop cavities than children who do not have sealants. At Murphy Dental Group, Dr. John Murphy and Dr. Patrick Murphy are your Milton, MA, family dentists for children’s dental sealants. Sealants create a protective surface over teeth that helps keep cavity-causing bacteria from settling into the pits and grooves naturally found on your teeth. Brushing can sometimes miss bacteria that are trapped in these tiny crevices, so they are left to linger. Lingering bacteria can eventually lead to tooth decay and cavities. 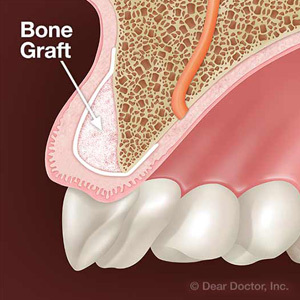 Sealants are typically applied to the chewing surfaces of the molars in the back of the mouth as these teeth tend to have a lot of pits and grooves. The application of dental sealants is a simple process. The teeth are first cleaned to remove bacteria, tartar, plaque, and other debris. It is important to thoroughly clean the teeth to prevent anything from getting trapped under the sealant. 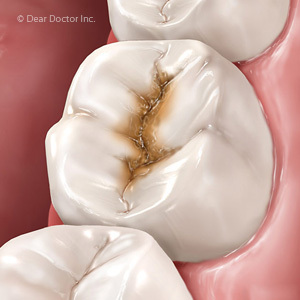 Once the teeth are clean, the sealant material is brushed directly on the chewing surfaces of teeth. The sealant is then dried with a special light that helps the material harden. Hardened sealants can last for several years before eventually wearing away. While sealants can help prevent tooth decay, daily brushing and flossing are still important. Brushing or flossing will not harm sealants. Additionally, your child should brush with a toothpaste containing fluoride twice daily and continue visiting their Milton, MA, family dentist Dr. Murphy regularly for dental checkups and cleanings. Maintaining good oral hygiene and dental habits will help promote better oral health in your child. Dental sealants provide an additional measure of protection against tooth decay and can reduce your child’s risk of developing cavities. To learn more about what sealants can do for your child, schedule an appointment with your Milton, MA, family dentists Dr. John Murphy and Dr. Patrick Murphy, by calling Murphy Dental Group at (617) 696-3900. Although preventable, the occurrences of tooth decay are all too common. Yet decay doesn’t appear out of the blue: certain mouth conditions set the disease in motion. Here are a few signs of such conditions to watch for — they could be telling you you’re at higher risk for tooth decay. Visible plaque. 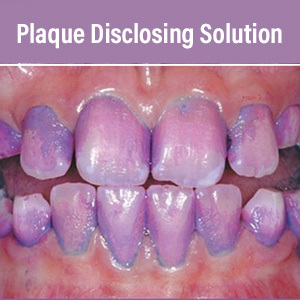 Plaque is a thin film of bacteria and food accumulating on tooth surfaces and a prime haven for causing periodontal disease. If you actually see it — a crusty, yellowish film — that means there’s a large, unhealthy amount of it. It’s essential to remove it daily through diligent brushing and flossing and more thorough office cleanings at least twice a year. Poor saliva flow. One of this bodily fluid’s functions is to neutralize mouth acid, usually thirty minutes to an hour after we eat. If saliva flow is inadequate, though, acid levels may remain high and endanger the enamel. “Dry mouth” can occur from a number of causes, including some medications and chemotherapy treatments. It’s important to alleviate the cause if possible by changing medications or stimulating saliva flow through other means. Tooth shape and appliances. Largely determined by heredity, your teeth contain unique, tiny grooves known as pits and fissures that could harbor plaque. Certain appliances like retainers, braces or night guards can inhibit saliva flow and cause your teeth to retain more plaque. It’s important then to adjust your hygiene efforts to offset these anatomical or treatment factors. Acid-producing conditions. Diseases like gastro-esophageal reflux disease (GERD) or eating disorders can introduce stomach acid into the mouth that is highly erosive to tooth enamel. It’s imperative for you or a family member to control these conditions through medication, dietary changes, or — in the case of eating disorders — behavioral therapy. Eating habits. Sugar and other carbohydrates are a ready food source for bacteria. Likewise, acidic foods and beverages (like coffee, tea, and sports or energy drinks) can cause high acid levels for too long. Cut back on eating and drinking these foods and beverages, especially as snacks, to reduce acid levels that could lead to decay.